This class is a combination of both a Yang and Yin approach. The class begins with a dynamic approach to warm the body through yoga postures and coordinates the breath with the movement. This section of class targets the main body of the muscles to produce greater flexibility and stability. 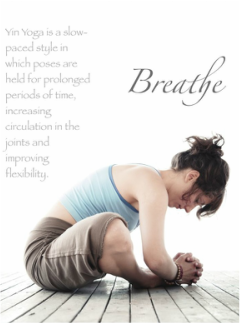 The second half of class moves into a slower pace, where postures are held longer with a focus on relaxing the muscles with support of props in order to target the connective tissue, helping to create a greater range of motion in the joints. Your body will say thank you!